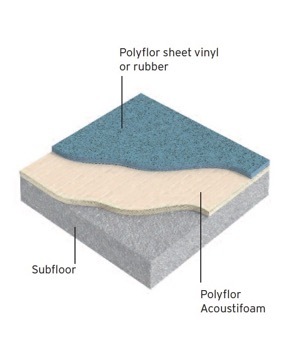 Note: Polyflor homogenous vinyl tiles and both Polyflor & Expona Luxury Vinyl Tiles and Planks as well as the Polyflor ESD ranges should not be used in conjunction with Acoustifoam. 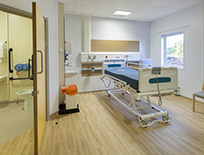 Designed to be installed beneath standard Polyflor vinyl and rubber sheet (with a minimum gauge of 2mm). Achieves an impact sound reduction level of 18dB. Allows a wider choice of colours, styles and performance characteristics with an unrivalled total of 'top-layer' product options.